This post was sponsored by Olay. All thoughts and opinions are my own. Thanks for reading and supporting the brands that support A Short Blonde! I've discussed my acne struggles many times over the years. Throughout my pregnancy with Phoenix and up to almost a year postpartum my skin was amazing! I rarely broke out and a lot of prior acne scarring lightened, but this fall my skin took a turn for the worst. And it left me feeling depleted. Because my period had recently returned, I assumed the culprit was hormonal acne. I kept changing my skincare routine -- adding more and more products -- hoping something would change. Out of frustration I made an appointment with a dermatologist. Within three minutes of meeting her she told me I didn't have acne, I had perioral dermatitis. A cross between rosacea and eczema. When on the face it appears similar to cystic acne with the added bonus of dry flaky patches. Perioral dermatitis craves a simple skincare routine. It doesn't want harsh acne treatments, serums or excessive creams. It wants to be left alone. Which, of course, was the exact opposite of my skincare routine! During this time Olay reached out to me to participate in their #Olay28Day Challenge. 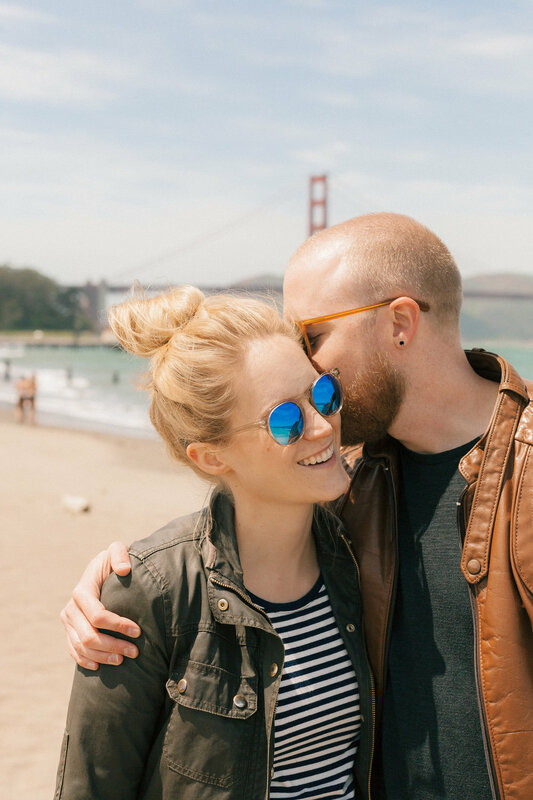 Their easy-to-follow challenge came at just the right time. I am almost at the end of the challenge, so I wanted to give you all the details. The Olay Regenerist Micro Sculpting Cream has been proven to give you younger-looking skin in 28 days. It reduces the appearance of fine lines, immediately plumps the skin and hydrates better than high cost creams! One of the key ingredients, Niacinamide (Vitamin B3), boosts cell turnover and maintains skin’s moisture barrier which is important for achieving younger-looking skin. The Olay Eyes Ultimate Eye Cream is my new favorite skincare product. It reduces puffiness and the appearance of fine lines and dark circles. The slight tint acts as a color corrector, so I was able to get away with using less concealer. I've used other (much more expensive) eye creams that don't sink well into my skin and end up clumping my concealer. Has that ever happened to you? Before the start of the Olay 28 Day Challenge my skin was dull and dry and the bags under my eyes were intense. I honestly didn't even notice how bad the bags under my eyes had gotten until looking at these photos! The best part? I didn't use a ton of products to achieve these results! My daily routine went from six to seven products to two! 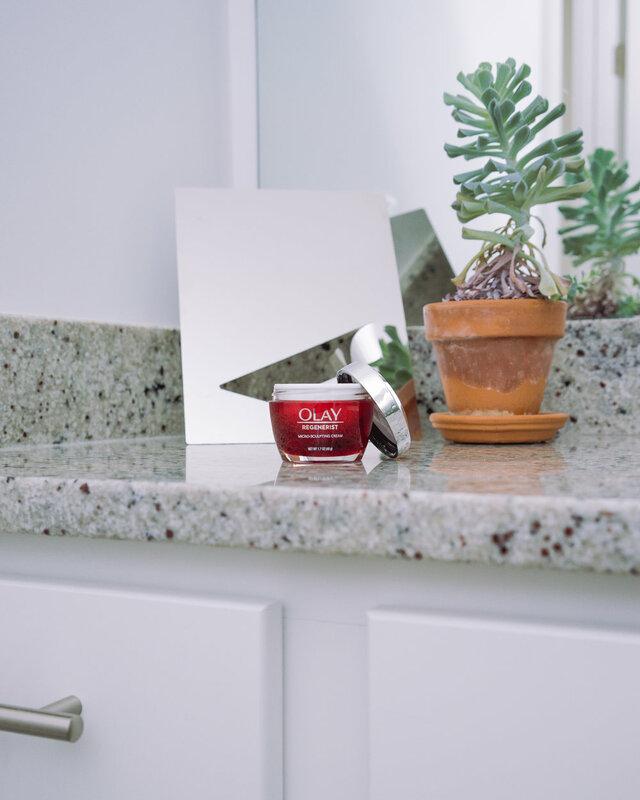 To begin your own Olay 28 Day Challenge, visit Olay Skin Advisor to discover a customized skincare regimen! The first 15 to visit Skin Advisor will get $40 off their purchase of recommended products by using my code 28DAYS6363. Cheers to healthy and youthful looking skin!